If Seahawks past and present have anything to say about it, Tom Cable will coach an NFL team again. According to the Huffington Post, Cable “absolutely” wants to be a coach again, and everyone from Pete Carroll to Dan Quinn to Marshawn Lynch is lobbying on his behalf. The first part of the Post piece is a rehash of stuff Cable has said in several offseason interviews: a progress report on Seattle’s mostly brand-new offensive line and a reiteration that the coaches are very focused on trying to pick up where they left off last season. The interesting stuff comes at the end, where Cable says he wants to be a coach again — but only in the right circumstance, which he has observed firsthand on a Super Bowl team created by John Schneider, Carroll, Cable and others. Russell Wilson was drafted 73 picks after Robert Griffin in 2012, but the third-round quarterback has far outplayed the No. 2 overall pick the past three years. While Wilson has established himself as one of the NFL’s elite franchise quartermen, Griffin has turned into a journeyman. Mike Shanahan admittedly shares some of the blame for Griffin’s initial failure in the NFL, and he points to Wilson as the way Griffin should have played in Washington. With Griffin now in Cleveland and Shanahan in his third year out of the NFL, the coach who drafted Griffin told MMQB that Griffin can play like 2012 — if he plays like Wilson. When 69-year-old Tom Coughlin was forced out by the New York Giants last week, 64-year-old Pete Carroll became the oldest coach in the league. 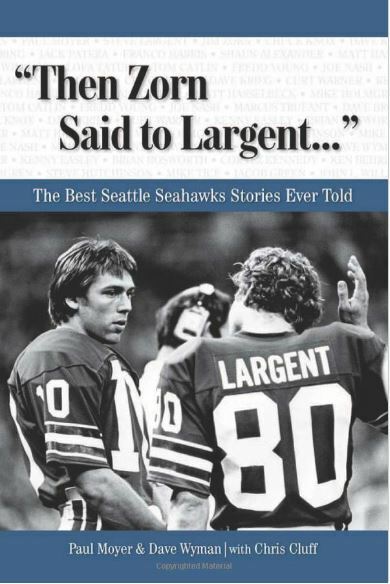 Asked about that distinction on KIRO Radio on Friday, the Seattle coach cracked that he has been lobbying for 67-year-old Mike Holmgren, who coached the Seahawks for 10 years, to get another job so Carroll wouldn’t be the oldest. But age certainly hasn’t slowed Carroll, who is as energized this season as he has ever been. That certainly bodes well for Carroll re-upping after this season. His contract runs through 2016, and — fortunately for Seattle fans — he doesn’t seem inclined to leave any time soon. A big day for Kris Richard and the Carroll family was trumped by news that Lofa Tatupu is coming back. 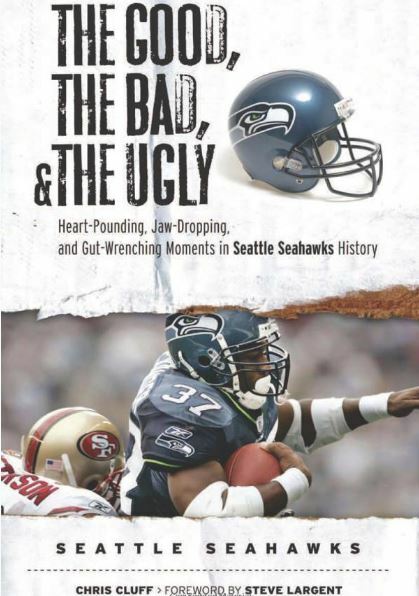 For those who just became Seahawks fans in the last four years, Tatupu was the Bobby Wagner of Seattle’s first Super Bowl team. 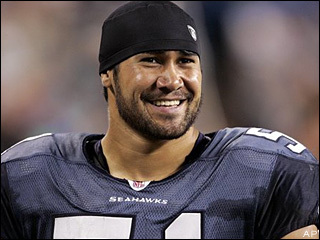 Tatupu played for Pete Carroll at USC and again in 2010, when Carroll came to Seattle. Tatupu, a second-round draft pick in 2005, was part of a defensive overhaul that year that helped the Seahawks reach the Super Bowl (where they lost in controversial fashion). Tatupu went to the Pro Bowl in his first three seasons as the middle linebacker on Mike Holmgren’s Seahawks, but the undersized player quickly wore down with a multitude of injuries. Dan Quinn’s swan song — and then what? The Seattle defense apparently will have some added incentive to put forth a stellar Super Bowl performance on Feb. 1: Sending coordinator Dan Quinn to Atlanta with a win. The Falcons interviewed Quinn for a second time Monday in what reportedly was more of a formality as they already have decided to hire him. They reportedly had hoped to bring him out to Atlanta this week to announce the hiring, but his Seattle defense shut down Aaron Rodgers and the Packers for most of the game Sunday, giving Russell Wilson and Jermaine Kearse a chance to redeem themselves and send the Hawks back to the Super Bowl. The Falcons reportedly already are securing Quinn’s staff — starting with offensive coordinator Kyle Shanahan — and likely will name him their coach the day after the Super Bowl. Seahawks coach Pete Carroll knows all of this, of course, and is not concerned a bit about losing Quinn or about it being a distraction leading up to the Super Bowl. As Pete Carroll’s assistants interview with various teams this week, plenty of fans are wringing their hands at the prospect of losing them. But there is no reason to fret. 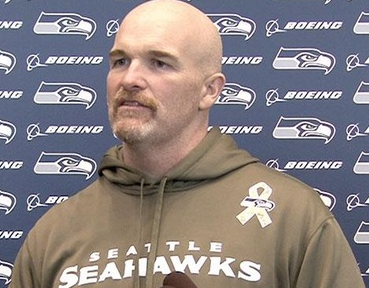 Defensive coordinator Dan Quinn reportedly is on interview lists of San Francisco, Atlanta and the New York Jets. Carroll said offensive coordinator Darrell Bevell already has interviewed with the Oakland Raiders. And Tom Cable will talk to the Jets as well this week. In fact, Jets owner Woody Johnson reportedly is going to pull off a trifecta interview session in Seattle, talking to Seahawks pro personnel director Trent Kirchner about replacing former general manager John Idzik. Apparently Johnson is not put off by the idea of hiring another Seattle executive. 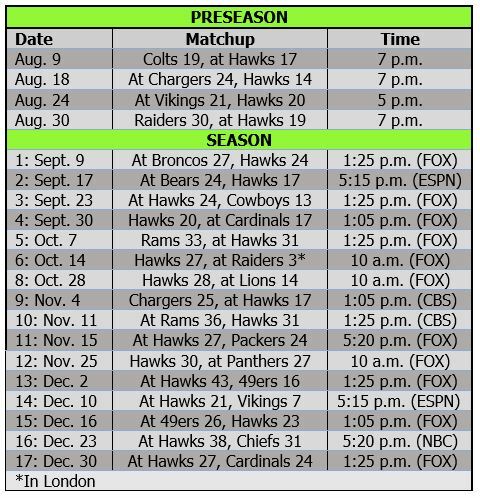 It seems very unlikely that Bevell or Cable will be hired away — even though they orchestrated the franchise’s best rushing offense ever (the third-best in the NFL since 1985, according to the team).